This is a HTTP cookie that is used by the content network, Cloudflare, to identify trusted web traffic. This cookie is retained for 1 year. This is a Pixel cookie used by Google AdWords to re-engage visitors that are likely to convert to customers based on the visitor’s online behavior across websites. This cookie is removed when you quit your browser. This is a HTTP cookie that saves the user’s preferred language on the network. This cookie is removed when you quit your browser. This is a HTTP cookie that registers a unique ID that identifies a returning users device. The ID used is for targeted ads. This cookie is retained for 6 months. This is a HTTP cookie that is removed when you quit your browser. This is a HTML cookie and will be removed when you quit your browser. These are persistent HTTP cookies that support the live chat function. These are HTTP cookies that support the live chat function and will be removed when you quit your browser. Customers are welcome to take advantage of this offer as many times as they like up to midnight 15 September 2018. Clean Air Strategy 2019 : what does it mean for stoves and wood burning? 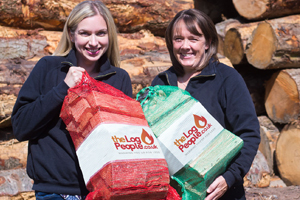 Hardwood Versus Softwood logs – what’s better for burning?